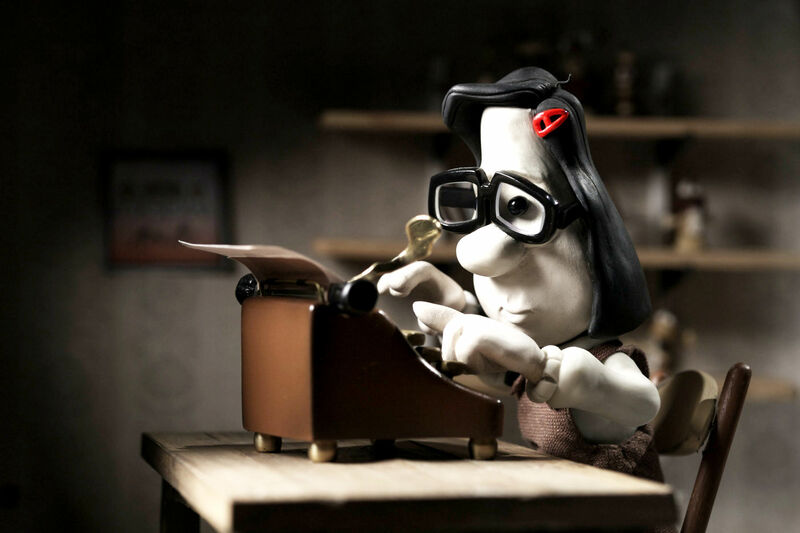 Mary and Max does something unusual for stop motion: contrary to the form’s norm of subsuming story into spectacle, the film utilizes the inherent whimsy of stop motion to cushion some very adult, thematic overtones. What results is a concerted dark comedy that, by live-action, would’ve sunk too dark and, by CGI/drawn animation, would’ve risen too comical. Mary and Max is based on true events primarily in the sense that its based on true emotion, psychology, and circumstance. The sincerity by which these themes operate seems to simultaneously permit decorum to moments of utter inanity while sanctioning giggles to those of abject morbidity. What results is a novel blend of bittersweet, well-written by its action, enlivened by its artifice, and methodical in its madness. Particularly embodying this pervasive paradox is the character Max (Phillip Seymour Hoffman), an intelligent, sensitive, embattled mind, clay-animated with the motion/look of an obese penguin. Swarming with pathos and panache, we can’t help but laugh at and with Max’s farcical yet unabashed quirks. This, rebounded off the non-judgmental, perhaps naive, enthrallment of pen-pal Mary, leaves us treated to a friendship that only ignorant minds would decry as “inappropriate”. The moral of Mary and Max is explicitly that, “We choose our friends,” and is particularly apt with the case in point: Two bodies that would never meet—under any ordinary circumstance—find solace in a mutual mind, conceiving a world devoid of pretense and inviting of curiosity, humour, and hope. Before Disney’s Snow White and the Seven Dwarfs, the first hand-drawn animated feature film that has been treated as the Year Zero for animation in the public consciousness, there was The Adventures of Prince Achmed, a 1926 stop motion film by German director, Lottie Reiniger. A tale of shape-shifting sorcerers, fairy tale lands, and damsels in distress – elements and characters loosely pulled from the folk tale archive of One Thousand and One Nights – all beautifully crafted using shadow puppets that dance and tread nimbly across the screen. The use of silhouettes may create a level of doubt regarding the 65-minute film’s ability to grasp the attention of an audience and conjure an emotional attachment, especially when placed next to the modern realm’s lavishly animated spectacles. Yet the level of artistry that Reiniger infuses into her silhouettes makes each flourish of the hand and delicate movement of the fingers into a charming performance: As the fairy Pari-Banu gently steps, as if a ballerina, into the river to bathe, enveloped by hanging trees and her handmaidens, Prince Achmed pulls away the foliage he is hiding behind to gaze at her splendour. The scene is made even more hypnotic by the quietly graceful violins that accompany the fairy’s tender caress of a deer sipping from the water as Achmed looks on, with Wolfgang Zeller’s compositions throughout adding an extra layer of whimsicality and enchantment to the film. If anything, the age of Reiniger’s film intensifies its magic: In an age riddled with CGI and photorealism, The Adventures of Prince Achmed is a testament to the ability of cardboard cut-outs to entertain, and a reminder of those ancient forms of storytelling that have delighted previous to us. 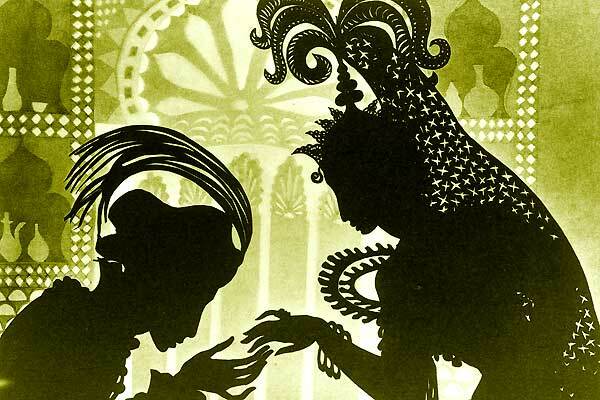 While The Adventures of Prince Achmed may hold a place in history because it is the oldest surviving animated feature film, it is its vibrant story weaving, its beautiful movements, and enriching orchestral score that merit a place in our hearts. The average animated movie today seems to require excessive celebrity voice actors and an abundance of goofy, over-the-top dialogue—a factor that makes most non-Pixar schlock virtually unwatchable in my eyes. So right off the bat, Aardman Animation’s Shaun the Sheep Movie immediately made an impression on me by saying… nothing at all. Shaun, based on a CBBC children’s series that itself was spun off from the 1995 Wallace and Gromit short A Close Shave, tells the story of a herd of sheep who simply want a day off. However, their attempts at taking a break lead to their farmer’s erroneous departure to the city, and it’s up to Shaun and the gang to bring him back. The movie is a rarity in modern filmmaking. While most animated films in today’s day and age contain excessively ‘quipy’ dialogue, Shaun goes the route of classic animation, like the children’s series Pingu, to tell its story through grunts, babbles, gasps, and virtually no dialogue. As a result, the silent Shaun successfully connects with its audience by unambiguously portraying emotions visually, meaning audience members old and young won’t ever be scratching their head at any plot points. 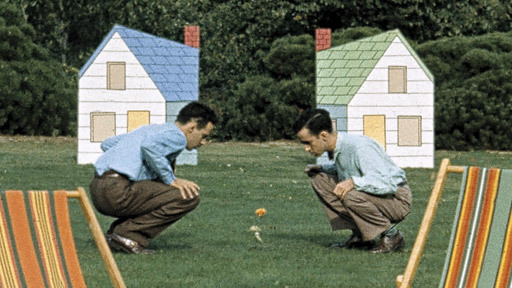 It also helps that writers/directors Mark Burton and Richard Starzak have a brilliant grasp on stop motion. 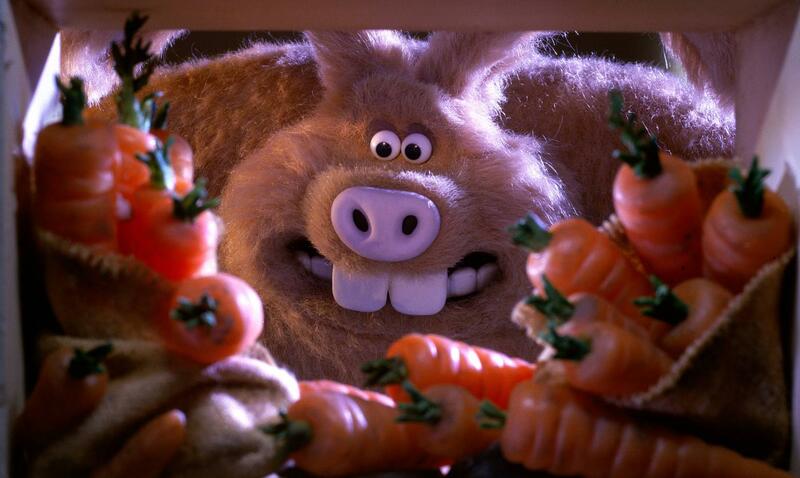 Burton, who co-wrote the 2005 Wallace and Gromit film, and Starzak, an animator who’s worked on the original Shaun the Sheep series, take full advantage of the stop motion medium by employing a relentless barrage of slapstick humour and clever visual comedy. 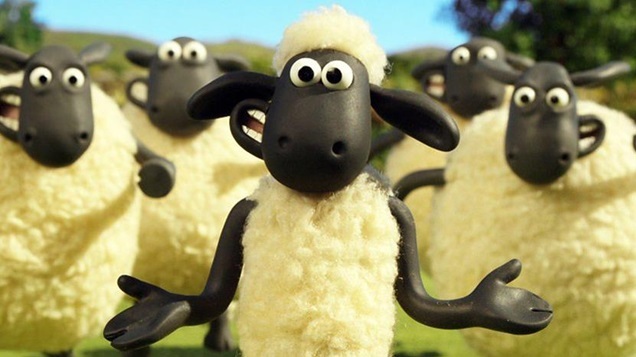 Not willing to bore adults either, Shaun the Sheep Movie contains a surprisingly high number of references to mature films and television shows, such as The Silence of the Lambs and Breaking Bad. Needless to say, your eyes will always have something to look at during the movie’s 85-minute runtime. So don’t let its kiddy exterior fool you: Shaun the Sheep Movie showcases everything that can be done with a simple storyline, aggressive-but-reasonable visual humour aimed at all audiences, and a whole lot of clay. After viewing this one, you might never want to hear dialogue in an animated flick ever again. In recent years, films under the label “kids movies” have proven they have every right to be respected. 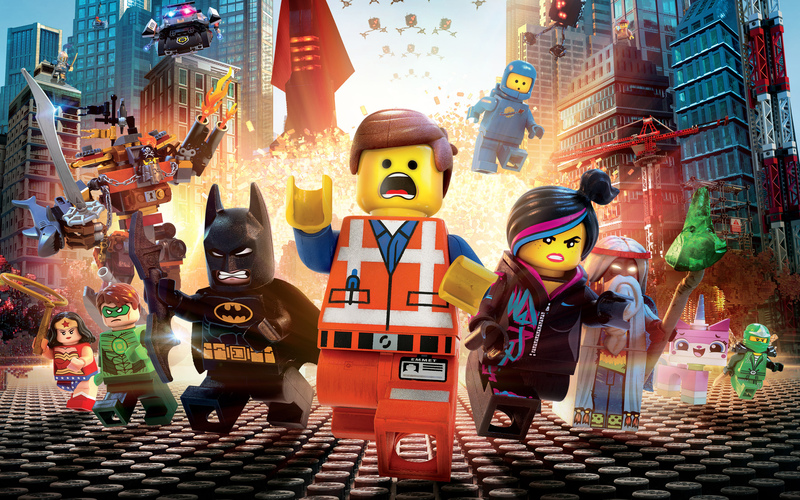 One of the first films to bring this truth to the surface was The Lego Movie. This film is not only a fantastic film for kids, but also a triumph for stop motion animation. As Lego has developed and grown as a franchise, with countless video games, a couple of TV series’, and even the odd low budget film, all of these have adopted the Lego aesthetic. However, The Lego Movie did something that really captured the essence of the toy: they incorporated stop motion animation into the film. Lego stop motion gives the chance for anyone to animate—anyone kid or adult can use simple software and camera equipment to create stop motion animation. YouTube is full of it, and it’s a constant source of inspirational content. By adding this style to The Lego Movie the creators establish a link between “Hollywood” and all the eight-year-olds in their room doing basically the same thing. Part of what draws in audiences of all ages is the fantastic and frankly hilarious script: The Lego Movie‘s written and directed by Phil Lord and Christopher Miller, the duo behind the Jump Street movies and who are bringing us the new Han Solo films. These two creatives made a heart-warming and funny story from something that has no narrative or even a loose structure. The tale of Emmet (Chris Pratt) and his adventures across the Lego universe bursts with energy, bringing to life many pre-established characters. It also rattles along at a great pace, keeping everyone watching engaged. The animation, along with a funny and creative script and pitch-perfect voice actors, means The Lego Movie definitely deserves a place on this list. A deliberate message permeates Coraline, of which is hardly subtle nor original: expressly, that, “utopias in theory are dystopic in practice.” Nevertheless, what makes Coraline ultimately original – and even subtle – is the aesthetic by which it purports this message. Rather than belaboring the “dystopia moral” with elaborate exposition and politics, Coraline employs brevity by emphasizing arena—specifically, that of the Kafka-esque. Suffice to say, the merit of Coraline’s arena is in no small part grateful to the hand of visionary Henry Selick. Selick’s aesthetic is, succinctly, that of actualizing motifs of primitive/Darwinian, collectively-unconscious fears: lanky, gaunt, decrepit hominids—often arachnid, insectoid, or serpentine—ensconced in surreal, nonlinear, non-Newtonian realms. In Selick’s visual nightmares, everything seems precarious, insecure, and threatening, and this works wonders to complement Coraline’s script. Selick’s penchant for the macabre unfurls and escalates with the narrative and protagonist’s arc, from uncanny, to disturbing, to outright horrific. 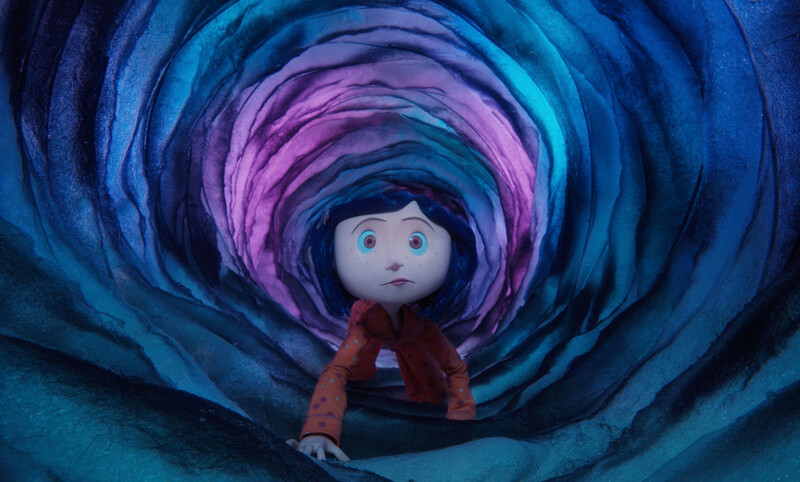 Now, what elevates Coraline from good to exceptional is a subtle gloss of allusion and self-reflexivity. For the former, references to famous, historical paintings are present and not inelegantly inserted; for the latter, the artifices of writing and photography are accentuated, reminding us that a well-written, stop motion piece too—a painstaking affair—cannot exist in a utopia. After a painstaking three years of shooting, which equaled out to two weeks of work for a minute of film, Tim Burton’s brainchild, The Nightmare Before Christmas, was born. Like Jack Skellington adopting a new holiday, the film was Burton’s re-imagining of classic claymation Christmas films of the ’60s. With conflicting ideologies of both Halloween and Christmas, the story illuminates Skellington’s emotional conflict of a tiresome routine, which paints rather gloomy undertones early within the film. Danny Elfman’s score isn’t only a substantial necessity to tell the unique story but one of Disney’s best. Memorable songs such as “Jack’s Lament” and “What’s This?” are not just catchy but also Elfman’s most poetic works, underlying the depth and emotional toil behind each character. Aside from the fantastic music, The Nightmare Before Christmas is a film knocking on the door of visual perfection. The attention to detail is astonishing, as each frame works as an ensemble to create a smooth picture. The diversity in set design alone is one to behold, ranging from a traditional Christmas decorated town to a darker setting which is reminiscent of German expressionism. Once seen as “too scary for children”, Nightmare has now been fully embraced as a Disney classic (even to the point of remodeling attractions during the holiday season after the film). 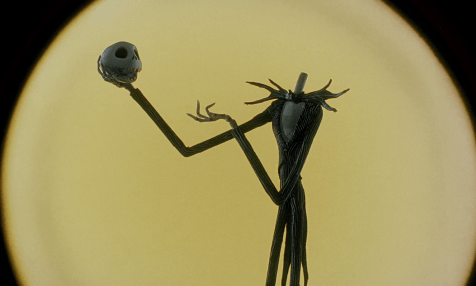 The Nightmare Before Christmas isn’t just a film to watch during the holidays but a timeless masterpiece. Stop motion animated movies occupy a unique niche in the filmmaking industry. They employ one of the simplest animation techniques but require a staggering amount of labor and time. Of all stop motion movies, no franchise is more widely known and beloved than Wallace and Gromit. Their most recent installment, Wallace & Gromit: The Curse of the Were-Rabbit, serves as a worthy addition to the cherished series. Everyone’s favorite man and dog duo return in the most recent installment in the Wallace & Gromit franchise, this time as skilled pest controllers protecting their town’s beloved vegetables. However, when Wallace uses his inventing skills to try and brainwash their captured rabbits into disliking vegetables, the result has the opposite effect. Wallace and Gromit inadvertently create a vegetable-gobbling monster that begins to plague their town, and only they can stop it. Wallace, the bright yet bumbling inventor, returns in usual form, using wacky and seemingly impractical inventions to do everything from start his car to get out of bed in the morning. Gromit, the mute but level-headed dog, reprises his role as the straight man of the relationship, frequently saving Wallace and acting as the silent voice of reason. This Wallace and Gromit movie certainly carries more weight than its predecessors, being the first feature length film and including English A-listers, like Ralph Fiennes and Helena Bonham Carter. However, it also sustains the visual gags and puns typical of the series’ unique and whimsical style. Wallace & Gromit: The Curse of the Were-Rabbit is the long overdue feature length debut of the franchise. The Oscar-winning movie succeeds in raising the bar to which we hold our animated movies, proving that the best family films appeal to all ages. Neighbors is a story about two gentlemen that mutilate one another, kill each other’s wives & children, and end up mutually six-feet-under… it’s actually pretty funny. In this case, the humor’s in not the punchline but the delivery. Neighbors, contextually tragic, is hilarious in form because it’s totally animated (and scored) with real photos. What this means, literally, is: Neighbors is a collection of thousands of still photos, by means of photography and not film, strung together by an adhesive, and scored by physically scratching the strip’s parallel audio channel. The end result is not just ‘animated real life’ but animated sound too. However, due to the assumed tedium of the method, not to mention limitations of the human body and mind, Neighbors’ innovation could scarcely thrive in any other genre but “experimental”. For this reason, levity pervades the piece, as we essentially for about eight minutes witness a guy say, “Look what I can do!” with a still camera and an extremely patient crew. The stories written by Roald Dahl have been beloved for generations. Back in 1996, Disney brought a classic to life with the stop motion adventure of James and the Giant Peach. The story is one we all know and love, and more than deserves a spot on this list for nostalgic reasons. For those who don’t know the story, it’s about young James, an orphan with terrible aunts for guardians. He climbs inside a giant peach and befriends a group of anthropomorphic bugs who live within. They travel across the ocean to reach their final destination: New York City. The stop motion style brings to life a host of wacky and unforgettable characters, including a gentleman Grasshopper, a Centipede from Brooklyn, and a middle-aged Ladybug, who all aid James on his fantastic quest. We even get a cameo from Jack Skellington from the infamous stop motion film The Nightmare Before Christmas when the peach is attacked by pirates and Jack poses as the terrifying captain. This cameo is not only great for Disney fans but is also a fantastic scene (which is actually quite dark for a film aimed at kids). The combination of a classic Roald Dahl story with an old-fashioned and familiar style of stop motion animation makes James and the Giant Peach a classic. It also switches between live action and animation seamlessly and allows the audience to distinguish between the characters. This film definitely deserves its place on this list, not only as one of the best stop motion films ever but as one of the closest and most beautiful adaptations of a Roald Dahl story ever. Much like Quentin Tarantino, Wes Anderson is a master of demonstrating that a movie can be exaggeratedly stylized without sacrificing, or even overshadowing, substance. Fantastic Mr. Fox does this perhaps the best of all of Wes Anderson’s movies as the stop motion medium perfectly compliments his diorama-in-motion, visual flair. The story and characters are beautifully brought to life, frame-by-frame, to create what may be the best film adaptation of a Roald Dahl novel this side of Willy Wonka and the Chocolate Factory. This wouldn’t work, of course, if the characters in the movie weren’t interesting. The usual Wes Anderson suspects are present: Bill Murray, Owen Wilson, and even William Dafoe as the scene-stealing Rat. However, it’s with the titular Mr. Fox and his family where the heart and soul of the movie lie. Mr. Fox, a character that succeeds at life solely through charm and wit, is voiced brilliantly by George Clooney. Clooney provides the easy-going likability befitting a fox, while also giving depth to the mid-life crisis he’s currently going through, that eventually results in the movie’s main conflict. The ever-superlative Meryl Streep plays the long-suffering Mrs. Fox, equally as charming and probably even more cunning than her husband (a necessary trait in order to keep him in line). Jason Schwartzman plays their son, Ash, who is rife teen angst. He longs for his father’s approval; he tries and seemingly fails at attracting his crush at school and feels overshadowed by his more popular cousin. Seeing this family dynamic play out, and watching each character struggle with finding their place in the world (figuratively and literally), provides the heart of the movie. Wes Anderson’s true gift as a director is that he subtly keeps his themes pervasive under each scene—you want Mr. Fox to succeed not because he’s charming and likeable, but because you want him to make things right with family and friends. 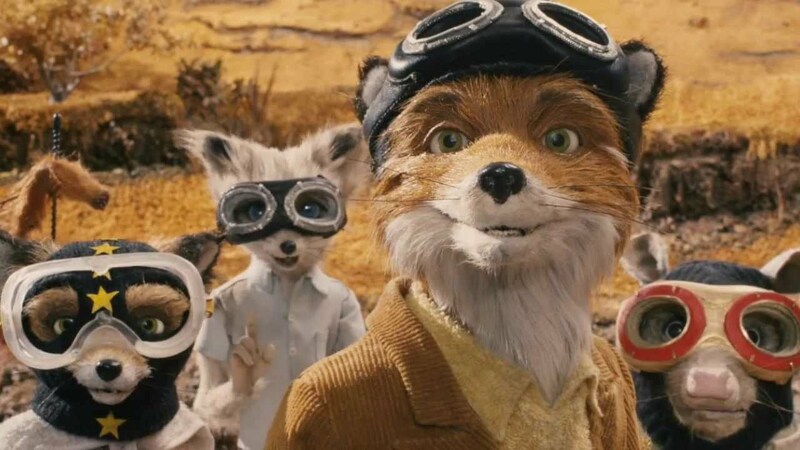 It’s the heart that sticks with you in the end, even more than the distinct visual style, and makes Fantastic Mr. Fox one of the best stop motion films of all time.